Leeds Rhinos Head Coach Dave Furner had the chance to run the rule over a number of his first team squad with just 20 days to go until the start of the new Betfred Super League season. The game was a celebration of long serving Doncaster star Kyle Kesik as part of his testimonial with the South Yorkshire side but the home side were given little to cheer in a blustery first half as the Rhinos produced a clinical performance to run in in five tries before the break. The Rhinos opened the scoring after 12 minutes when Mikolaj Oledzki came onto a short ball near the line and proved too big to stop near the line. Cameron Smith added the conversion to make it 6-0. The home side thought they had hit back after back to back penalties near the line provided an opportunity for half back Jordan Howden to go through a gap and touch down. However, play was then pulled back for the obstruction that had created the space. Leeds increased their lead after 23 minutes when Owen Trout, who was impressive throughout cut back inside and then ran over the full back to score. Smith was on target again the conversion. 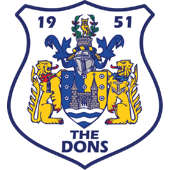 Doncaster once again thought they were going to hit back soon after with a break away effort by Liam Whitton was alert to the danger and managed to knock down a pass towards his own posts and then collected to immediately put the Rhinos on the attack. From that possession, they moved the ball to centre field and Anthony Mullally was too strong near the line to stop. Leeds made it back to back tries in the next set as Jack Ormondroyd, supported the break by Ashton Golding to take the offload near the line to go over. Smith converted both tries to give his side a 24-0 lead after 32 minutes. There was still time left for Leeds to extend their lead before the interval as England Academy team mates Owen Trout and Harry Newman combined on the left hand side for the centre to go over. Smith missed his first attempted kick of the day with the touchline conversion effort but the Rhinos were good value for their 28-0 lead at the break. The advantage was increased five minutes into the second half when Newman broke 60 metres down field. He was eventually hauled down but Doncaster conceded the penalty and three tackles later Brad Dwyer went over from dummy half. Smith added the conversion to give his side a 34-0 lead. Doncaster had a good spell of pressure after that but they could not find a way through the Rhinos defence and Leeds then came up with a special play to increase their lead. 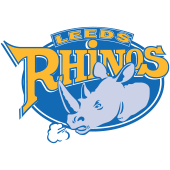 Smith chipped over the defence, pushed away his own team mate to regather the ball and managed to get the offload away as he was being tackled near the line to James Donaldson for his first try in Rhinos colours. Smith converted the try for good measure. His fellow half back Harvey Spence then gifted a second try to Owen Trout with a well timed pass near the line that gave the second row a simple run in. Smith missed the conversion attempt but his side now led 44-0 on the hour mark. Jack Broadbent announced himself on the field with a fine finish after coming on off the bench to break clear down the touchline and score in the corner for the Rhinos next score. Smith was unable to convert but the Rhinos now led 48-0. The visitors then went through the half century barrier when Newman supported the break from dummy half by Corey Johnson and then raced clear of the chasers to score his second try of the game. Smith added the conversion and then crossed for a well deserved try as he cut back inside the Doncaster defence and then got over the last two defenders to get the ball down. His conversion made the final score 60-0.